Engage in massive brawls in the “One Piece” Anime & Manga Universe. One Piece: Burning Blood is a fighting video game based on One Piece developed by Spike Chunsoft and published by Bandai Namco Entertainment. The game features a cel-shaded artstyle, similar to the One Piece anime. 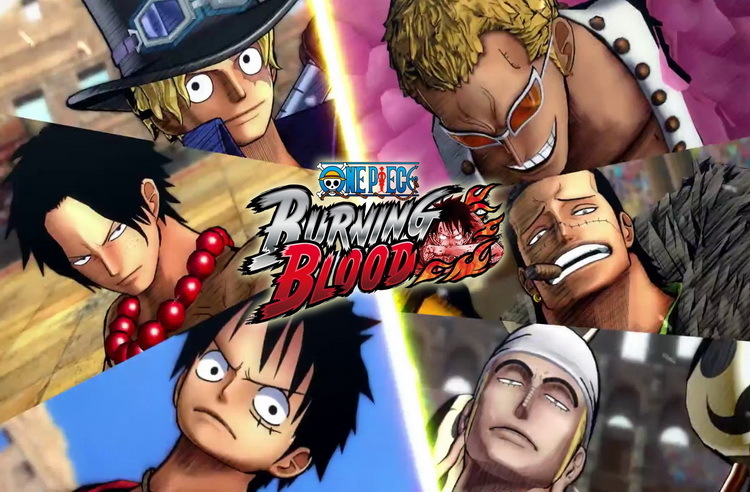 Burning Blood offers a great approach to “One Piece” Universe. The game features an “advanced battle system”, which allows players to perform stronger attacks and block normal attacks from enemies. Similar to the Grand Battle! series, One Piece: Burning Blood is a 1-on-1 (and up to 9 vs 9) fighting game. It focuses on fighting and devil fruit abilities, with Logia users being able to use their powers to avoid damage. Step into the New World with over the top head to head combat featuring all the action, drama and comedy of this infamous pirate saga. Use Devil Fruit abilities, Haki techniques, and punishing combos to turn the tide in the ultimate One Piece battle royale. AN INTRO TO DEVIL FRUIT. By now you’ve heard about plenty of Devil Fruits, the mystical fruits that give most of One Piece: Burning Blood’s fighters their incredible powers. Three types of Devil Fruit exist in One Piece — Zoan, Paramecia and Logia — and each gives its eater a different type of ability. SPECIAL ATTACKS / REINFORCED SPECIAL ATTACK. Some characters have a unique Special Attack thanks to their Devil Fruit ability. The Devil Fruit ability can be triggered at any moment during battle. Special Attacks can be reinforced, or part of an Attack can become stronger while being unleashed (Logia Guard and Logia Move can be triggered during this status). BREAK LOGIA GUARD WITH HAKI ATTACK. Attacks with Haki can void the Logia Guard. Anticipate the Logia Guard and choose the tactical and strategic moment to unleash your Haki blow! LOGIA MOVE / LOGIA GUARD. The Logia Guard for Logia characters such as Sabo, Ace, Ener, Crocodile etc allows you to void physical attacks. They can use special abilities like the Logia Move to traverse the field as fire or lightning. 3 VS 3 MELEE. Get ready for 3 vs 3 Melee battles between teams of 3 characters. You’ll need to think strategically when assembling your team and swap them carefully during the battle! One Piece Burning Blood is an enjoyable fighting game that will delight fans of the series from beginning to end. A good take on One Piece with a solid but very simple fighting game. A good fan-service for everyone who loves Luffy and his friends.